When death happens every thing stops to submit to a higher calling; sending off the spirit of a loved one. Time stops in the sense that everything that had previously mattered seems not so grave after all. This release is commonly described by family members at the time they encounter the body of their departed, reporting a sensation of “absolute peace” washing over them. Of course when this fades away the gap left from losing love kicks in and human mourning ensues. Although it is entirely ironic, death seems to give birth to a glimpse of our existence that is free of conditioning before it is buried in grief; a chain reaction rooted in love. In fact, love is even a more potent stimulus for growth than nutrition. In Dr. Bruce Lipton’s documentary, “The Biology of Belief” he describes this very accurately. Cells growing in culture are grown in different kinds of environments, some that are favourable for growth and others that aren’t. This affects how their DNA is expressed by turning certain genes on or off, showing that it is in fact environment that dictates DNA expression. DNA had previously been thought of as a rigid manuscript for life, and that cracking the genome alone will teach us everything. Lipton also described cell growth as having the capability to respond to its environment in two ways; when it loves its environment it grows, and when it is scared it goes into protection. Although our smallest living parts demonstrate this simplicity of interaction with environment, this can even be seen at a human level. In the war torn places of our world, people who grow up living in fear preoccupy themselves with protection, inadvertently stunting their growth. Syrian refugees in Lebanon are an example of this, barely surviving in the extreme conditions of the Bekaa Valley. When protection kicks in time spent on factors promoting growth are set aside, especially those that are more potent at self preservation, such as education. It is the remembrance of the holocaust that aided in saving European Jews, with Israeli youth even attending government sponsored educational visits to concentration camps in Germany. The Buddhist monks of Tibet continue to fight Chinese occupation through non-violence. The Dalai Lama resists from a Tibetan “government in exile” located in India, promoting peaceful resistance that has awarded him a nobel peace prize, and international support. Although this form of resistance is often met with cynicism we have seen clear examples of “love conquering all” in our history. Mahatama Ghandi was the epitome of peaceful resistance. He believed that through the mechanism of non-violence, the attacker will eventually see their own injustice and become transformed. Ghandi brought down three civil wars in India, with one of the most poetic acts of human heroism, he fasted. Three times, one for each war, and when he had flirted with the edge of life, opposing sides surrendered even the largest of their disputes out of love for him. In 1995, Grey wolves were reintroduced by humans into the Yellowstone national park in the United States, seventy years after they had been hunted to extinction. This was meant to halt the uncontrollable blooming of the elk population, that was beginning to seriously disturb the geography of the park. Whole mangrove forests were disappearing. Following reintroduction the effects of the wolves absence became increasingly apparent. Wolves controlled the elk population, which allowed grassy lands to proliferate strengthening the soil for mangrove forests to thrive again. This is the effect of a species demonstrated scientifically in all its glory. The hundredth monkey effect is a well studied phenomenon. It was proposed when a new useless behaviour taught to a single monkey in the wild became evident in the entire population after a period of time. If this is also applicable to humans, imagine what effect the injustice of a people such as the Palestinians has brought into their collective consciousness. 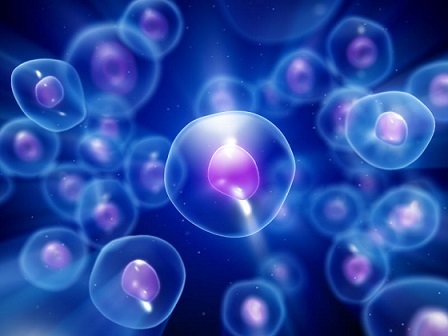 Imagine what effect this has brought into our entire collective consciousness, and when we are the dominant destructive factor of our world how much of our cells are actually in growth? How in love are we with our state of being? Most of us only take care of themselves when they want to impress someone. We do our hair, we dress nice, we even cut our toe nails so no detail is left out. But taking care of ourselves, for ourselves, is unheard of. We will even treat external factors such as our spouse, or our places of worship, with sacred irreverence but trash our bodies and the nature around us. Is it then the fact that we are surrounded by carcinogenic substances that is killing us, or accepting to live in a carcinogenic environment? There is a scientific potency of love that has demonstrated real, profound transformation, and when that is channeled into our being we express our ultimate calling; to be human divine. To grow even when we are most threatened, to be at peace even in loss. You see when you are love, you can not loose, you can only love. I accept that I cannot direct how that energy will go, but I can choose when and how much I put out there. I must simply receive without judgement, without fear. Then I must find joy in reaping what i have sowed, not in what I thought would come out, like a farmer who loves his trees regardless of how they branch. We are the lines between poetry of galaxies, conditioned to the size of a peanut. I am being called by this adventure to rediscover and I have begun to understand what I truly am. I am of love. I am of peace. I am abundance, just like you. You may have been the hundredth and the billionth of our collective devolution but choose to be first, engulf the earth with your love, and it will shape a mountain range within your spirit. Next Are We All Connected?